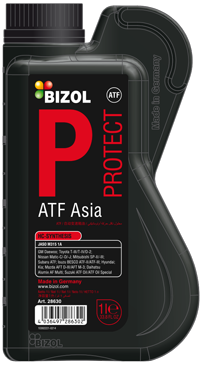 BIZOL Protect ATF Asia is a transmission fluid for automatic transmission and hydraulic clutches that meets the requirements of the latest specifications of the Asian market. This product ensures a proper operation of the hydraulic gear even under severe operating conditions and considerable temperature fluctuations. © Avtokomers 93 Ltd | All rights reserved!